The Mayo armband has been developed to detect the electrical activity in your muscles and translate the gestures you’re making with your hands into commands to wirelessly control your computer, phone, and other favourite digital technologies. Now the Myo armband has this week been demonstrated being used in conjunction with the awesome Oculus Rift virtual reality headset with some great results, check them out after the jump. The Myo armband is equipped with low power Bluetooth 4.0 connectivity, proprietary muscle activity sensors, together with haptic feedback. “The Myo armband measures the electrical activity from your muscles to detect what gesture your hand is making. It also senses all of the motions and rotations of your hand and forearm. 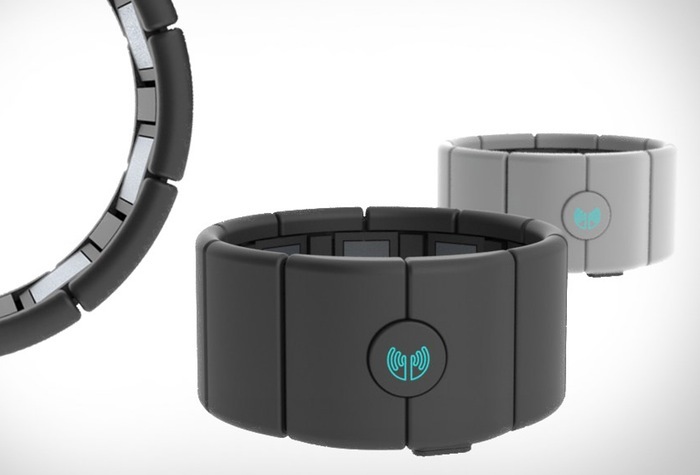 The Myo armband works with Windows, Mac, iOS, and Android. The Myo is also equipped with an ARM processor, a 9-axis inertial measurement unit, and a rechargeable Lithium ion battery and is now available to prep-order for $149 directly from the Thelmic Labs website.